You know you want to spend your life with her ,and you have a ring to put on her finger; now you need to get her to say "yes." "Will you marry me?" may seem like a simple question, but the story of how you proposed will be told for years to come, and it should reflect your relationship and love. Buying a ring is only the first step in planning the perfect proposal. Think about your relationship and the person you are proposing to. There are many ways to propose, but what works for one couple may not work for another. 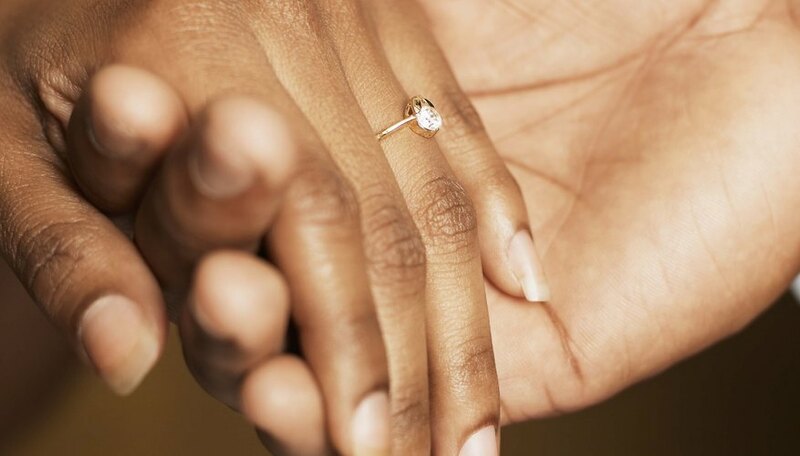 If your partner is a private person, a public proposal may embarrass her or make her anxious. Make a list of things you and your partner enjoy doing together (hiking, crosswords or watching movies, for example) and a list of things your partner likes (beaches, dogs or rocky road ice cream, for example). Finally, think about the costs involved and what you can afford. Look to these lists when you plan, and keep your partner in mind every step of the way. Nature provides many stunning backdrops for a romantic proposal---beaches, starry nights, waterfalls and sunsets. Plan a trip to a less crowded beach and go beach combing together. Write "will you marry me?" on a piece of paper, roll it up and put it into a bottle. Partially bury the bottle where she is sure to find it, and be ready with the ring when she reads the message. For a simpler proposal, plan a romantic picnic for the two of you in a quiet park or on a hike. As the sun goes down tell her the sunset is almost as beautiful as she is and ask her to spend the rest of her life with you. A grand, public gesture makes for a good story but should only be done if your girlfriend is not overly shy or private. If you both enjoy sports, take her to a game and arrange for "will you marry me?" to show up on the giant screen during a break and have the ring ready to give her. If you are movie fans, take out an ad before the film begins asking her to marry you. Make sure you get there early so you don't miss it. A restaurant proposal, while still public, can be a low-key way to propose romantically. Arrange ahead of time to have a bottle of champagne brought to the table with two glasses. Have the ring tied with ribbon to the stem of her glass, and once the champagne has been poured, get down on one knee and ask for her hand in marriage. A more expensive option is to rent a sky writer to spell out her name and "will you marry me?" in the sky. If you decide to do this, make sure you have a plan that will take you both outside at the right time. 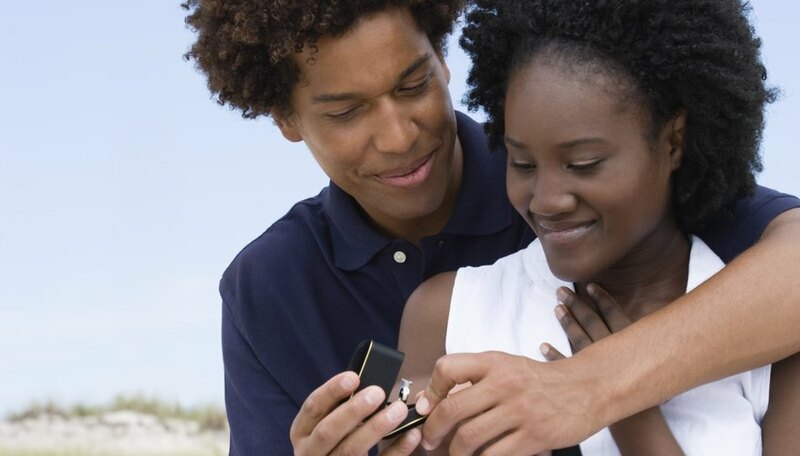 The best time to propose might be during a romantic moment shared by just the two of you. 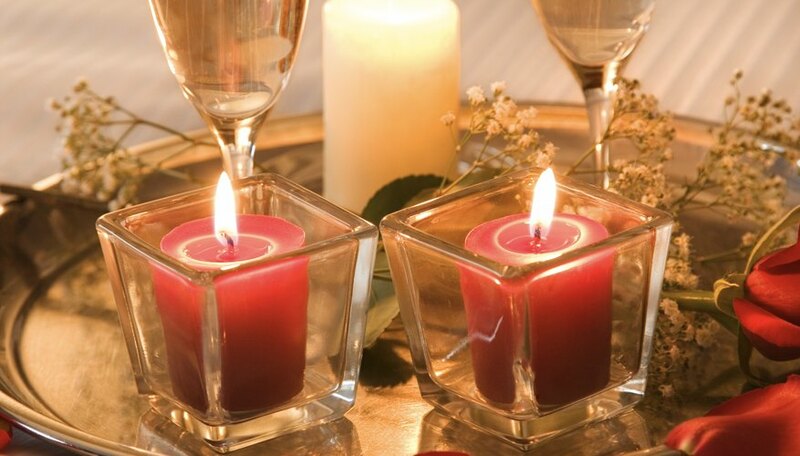 Run a hot bath, light candles, pour wine and propose while you are enjoying a relaxing and intimate moment. For a more drawn out proposal, leave a trail of clues around the house---start with flowers and a clue waiting for her when she walks through the door and end with you on one knee holding the ring. A simpler version of that is to have a path of rose petals or candles leading from the front door to you and the ring. For a sweet surprise, buy her a box of chocolates and replace the centre chocolate with the ring. Lena Grant is a Quebec-based writer and editor who has been writing professionally since 2005. She has worked as a writer and editor for "Momentum Magazine" and "Pacific Rim Magazine," and holds a diploma in publishing from Langara College. Grant, Lena. "Most romantic proposal ideas." Dating Tips - Match.com, https://datingtips.match.com/romantic-proposal-ideas-8098149.html. 09 June 2015.